Many of our customers require a higher degree of vision inspection and quality control. That's why our Vision Guidance & Inspection solutions have become an integral part of QComp's robotic packaging and glass handling systems. 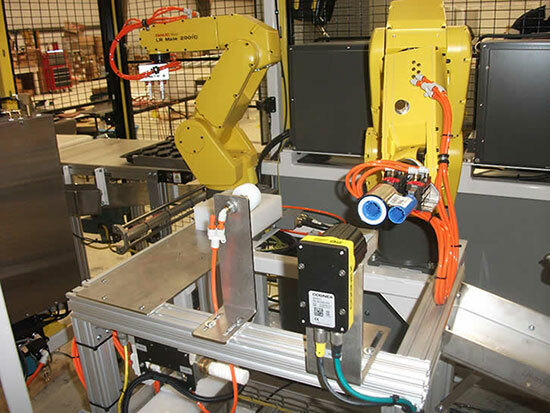 Vision allows the robot to know exactly where the product is before the robot handles it, which in turn, allows more precise positioning when the robot packs the product, racks the glass or sends it to the next process. 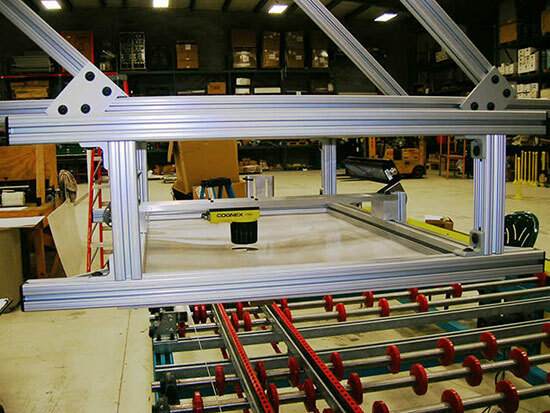 We offer seamless 3D systems when packing multiple size and color products is required. The 3D system's ability to analyze part placement with zero contrast between parts is remarkably precise. Further, due to the system's use of a laser, there are no changes required when colors are switched. The data is repeatable and virtually flawless. The end result is a more efficient solution for perfect placement, alleviating jams in the downstream equipment. 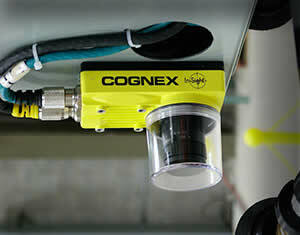 QComp further develops its own interface software for the solution to provide higher uptime. 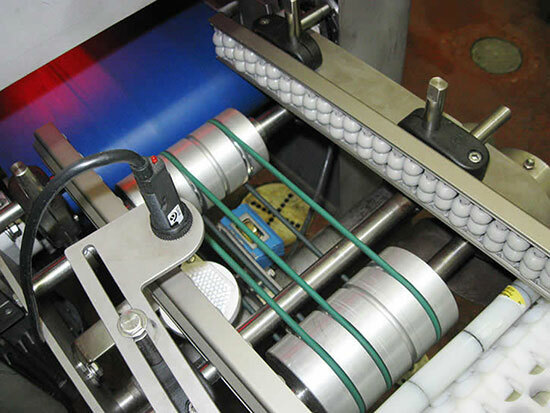 The solution not only implemented off-the-shelf technology but provided an easy-to-use operator interface where line personnel could see what was happening and keep the line running without further assistance. 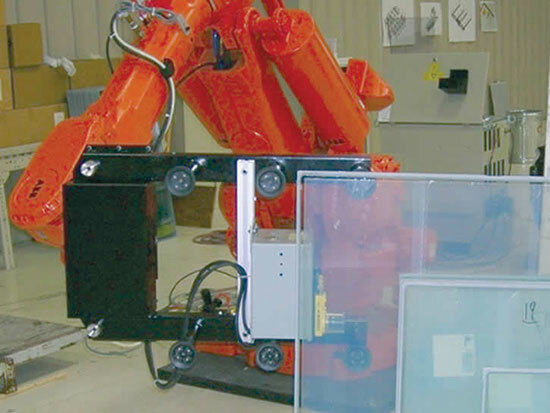 Robot picks glass on the fly for high speed packaging. Robot picks up a case blank and places it on a conveyor. Tooling expands to handle multiple size lites.